Compatible payslip forms for use with Sage Software using laser or Inkjet printers. 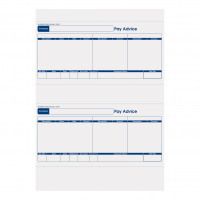 White high quality 90gsm paper printed in blue with a template with cells to include employer and employee payee data. 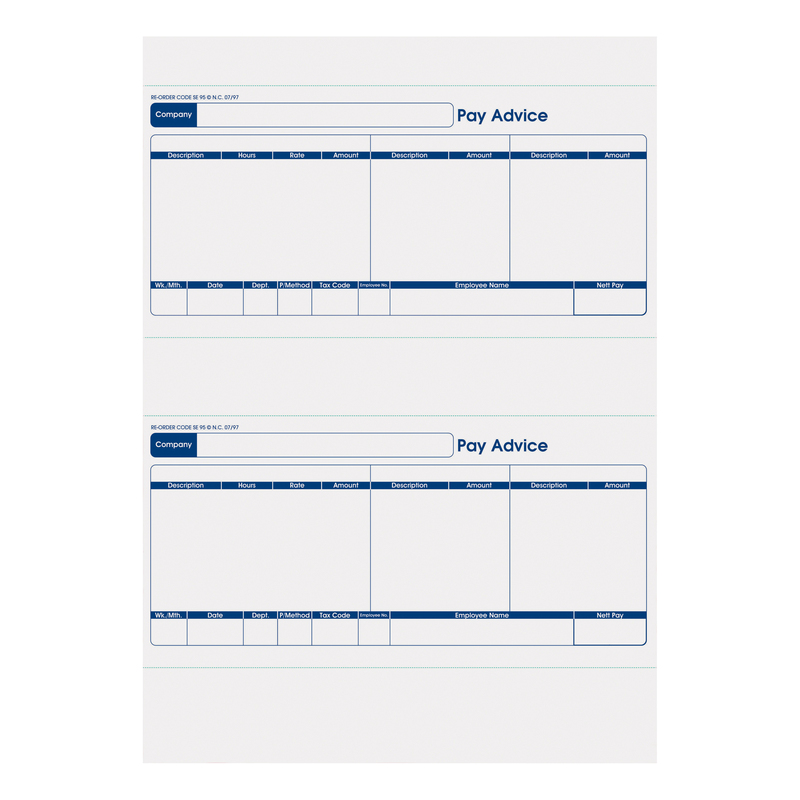 Each form contains two A5 payslips that are perforated for quick retrieval and easy printing.